Jason Hartman Consulting: Fix issue with too many contacts in iPhone caused by Outlook Suggested Contacts. How to disable them from syncing. Fix issue with too many contacts in iPhone caused by Outlook Suggested Contacts. How to disable them from syncing. I had a client the other day that wonder why he was seeing so many unrecognized contacts on his new iPhone. I had a quick look at it and it certainly showed many more contacts than are listed as contacts in Outlook. I immediately thought of the "Suggested Contacts" list that Outlook automatically creates - it builds a list of other people that you've sent mail to or received mail from but haven't necessarily saved to your official contacts lists. So I went into his Suggested Contacts list in his contacts area of Outlook and that list did appear to be the source of all of the extraneous contacts on his phone. Luckily, starting with iOS 6, I believe, there is an easy way to prevent this Suggested Contacts list from syncing from Outlook/Exchange to your iPhone or iPad. Open the Contacts app (or go to Phone app and then switch to Contacts area). Click the "Groups" button in the upper left corner of the screen. You'll see a list of different contact groups so you want to un-check the "Suggested Contacts" group. Now it may take a few minutes for everything to sync again but this will remove all of the Suggested Contacts from the iPhone, leaving you with just your actual list of contacts from Outlook. This is completely true, I had the same issue to which someone suggested me the same reply. In few minutes I had actual list of my contacts other than the suggested contact or any repeated contacts. problem with mine is.. Once I search my phone for a contact it defaults back to every contact I ever emailed going back like 7 years. Thank you! This is very helpful and fixed my problem. Unfortunately, all this does is hide the suggested contacts from you in your contacts list. The contacts are still there-- still syncing from outlook/exchange. If you have another device that reads your phone directory (like bluetooth in your car, or a GPS device with bluetooth and phone integration, etc.) you will still get the contact spam. 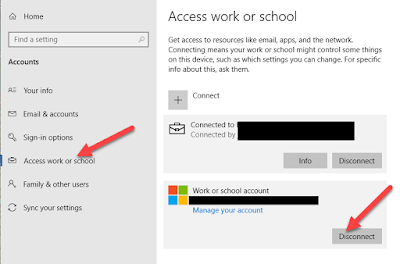 The only way I have found to deal with this is to NOT sync those contacts at all or disable suggested contacts in outlook (and I like having them in Outlook). I have taken to creating the contacts I want in gmail and only syncing with those on my phone. That turns out to be simple enough and I can do it from my phone or from anything else that syncs with gmail that is NOT Outlook 2010 or later. That being said, here's my issue. I need to continue utilizing the 'suggested contacts' feature within outlook, yet I would prefer not to sync them to my iPhone. In the event that you delete the greater part of the 'suggested contacts', then you remove the capacity to have these email addresses popup when you are writing another email case in point. Albeit I don't need them as 'full contacts', I do need them to popup. Yet NOT on my iPhone. Any thoughts on the best way to Not Sync Suggested Contacts? This is really very useful article to save the contacts. Thank you for sharing. Thanks very much for this. Works perfectly to cure an annoying problem. The fix described here works great, but once the iphone is synced again all those groups are back and "ticked". It makes me crazy, moreover because all the Lync contact are shown several times, depending on how many time you contacted this persons. From what I heard the latest IOS update is even worse because it is impossible to go to the groups now, that why I do not update my IOS untill that is fixed. iPhone Repair is the UK's fastest iPhone screen repair company iphone repair Bolton. We offer a Walk-in iPhone repair service at our East London Store. iPhone 3,3g,4,4S and iphone 5 repairs. Click iPhone Service Center in Chennai to go to yahoo. This is really a very good solution about this issue. Before some time my friend had this type of issue and I am sure this blog is helpful for him. I would like to suggest to one more thing about Mobile Parts Online and it's help you a lot. Thank you very much for sharing this blog. I really appropriate your effort and the time. iPhone repair bangalore provides you the best services for any type of hardware and software issue in your mobile phones. Giaonhan247 chuyên dịch vụ gửi hàng đi mỹ giá rẻ nhất và vận chuyển gửi hàng đi mỹ nhanh nhất với dịch vụ chuyển hàng đi mỹ giá rẻ nhất đầy tiện ích. It has a nice interface, easy to use, good technology. I like using it in combination with my Apple Watch. Apple is always adding new apps and technology. I've used Google's OS and don't think it is as easy to use or as nice as iOS. Cell battery could be better. If they'd add an SD card slot it would be an all around "10". If you are facing any issues in your iPhone related to the repair services then, get it done from iRepair India Corporate Office. It is the store for iPhone repir services at the reasonable price. And, the store is in iphone repair chennai offers long lasting solution. Thanks for sharing the article on the iPhone repair services. Recover your phone mobile parts from Online Mobile Parts in Australia which is the online store for the iPhone 8 Plus Screens and parts replacement.